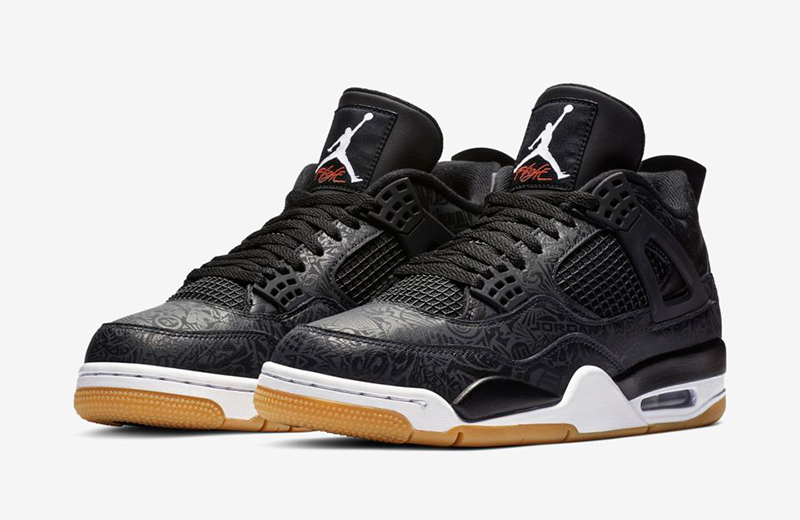 While the Levi’s Pack and the Cactus Jack 4s were one of the biggest Air Jordan 4s to ever hit our shores, expect to see more of the beloved silhouettes this 2019. Last weekend’s Hot Punch was just the beginning. 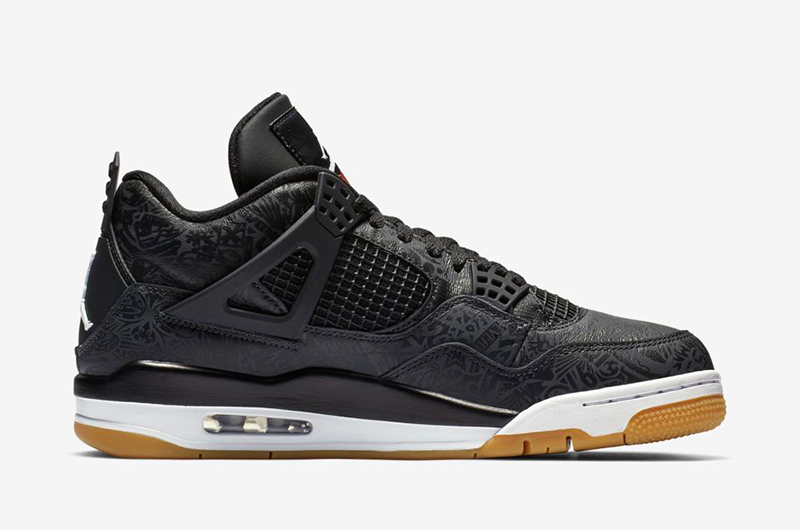 2019 marks the 30th anniversary of the Air Jordan 4. The sneaker has withstood the test of time, with the shoe being retro’d, reissued, and reimagined in so many ways. This weekend, we get another popular rendition of the 4 but donning a new colorway. 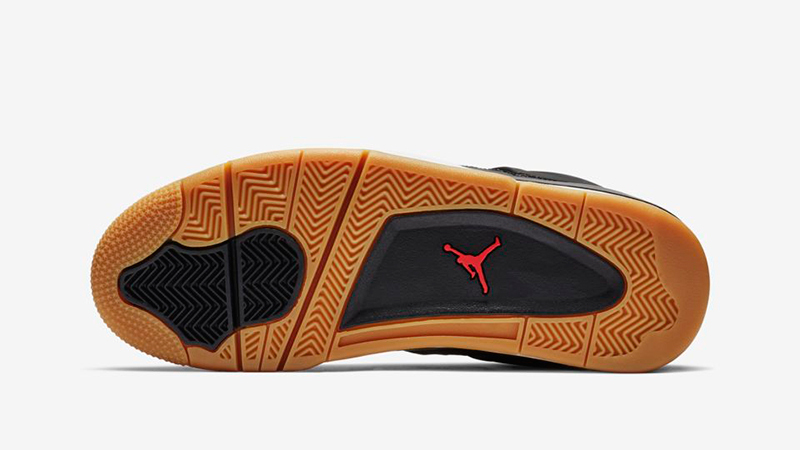 The ‘Laser’ 4 makes its return, this time as a black and gum number. This isn’t the first time Jordan Brand created an all over laser-etched version of the silhouette. Sure, JB created some unreleased samples and MJ PEs, but back in 2005, there were actually two Laser 4s that dropped. Both a Fire Red and Bred version of the 4 dropped, with the latter being a part of the Rare Air pack. In 2015, the brand celebrated its 30th anniversary and created an all-white version of 4, complete with icy outsoles and a new laser-etched design on the upper. It’s only fitting for the brand to resurrect the Laser 4s as the shoe celebrates its 30th. The new silhouette now comes in a black lasered upper, contrasted by the clean white midsoles and gum outsoles. The graphics lasered on to the shoe’s upper resembles the same graphics seen on the Air Jordan 20. If you’re a stickler for Jumpman nostalgia, it’ll be hard to pass up on these commemorative pair. 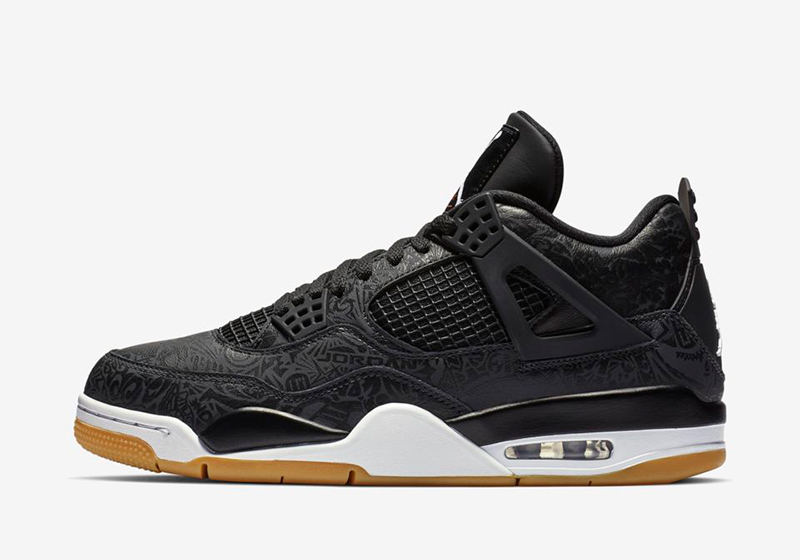 The Air Jordan 4 Retro Laser ’30th Anniversary’ or ‘Black Laser’ drops this Saturday, January 19th, at Titan. Tune in to Titan’s release mechanics in the next few days. 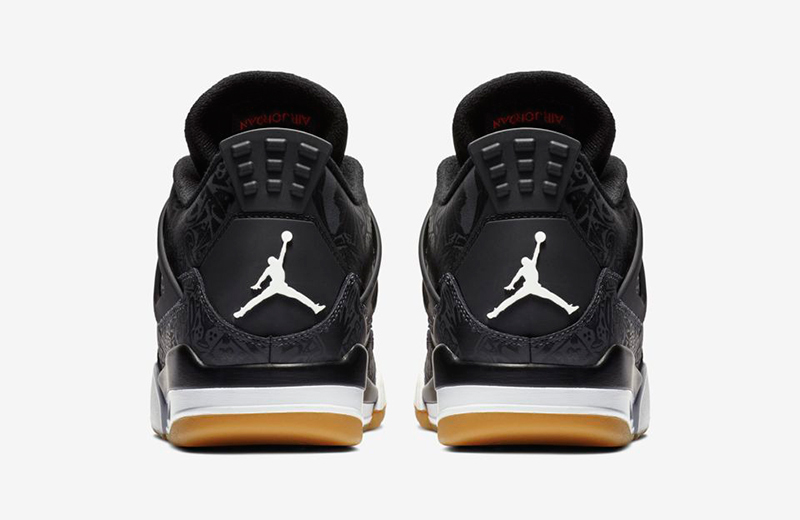 The Air Jordan 4 Retro retails for Php 9,445.